Terrence Evans, a television and film actor, died August 7 in Burbank, California, Variety reports. He was 81. Evans was a working actor who specialized in everyman roles such as policemen, hillbillies, service workers, and truck drivers. 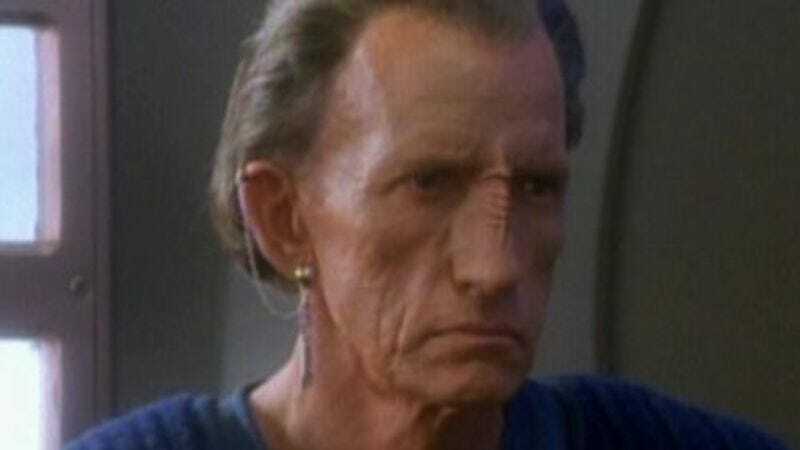 He is perhaps best known for his role as Tanker Truck Driver in James Cameron’s Terminator 2: Judgment Day, and in the Star Trek universe for roles on both Star Trek: Deep Space Nine and Star Trek: Voyager. In 2003, Evans appeared as Leatherface’s Uncle Monty in the Texas Chainsaw Massacre remake as well as its sequel, The Beginning. Evans made the rounds on some of the most popular television shows of the ’70s and ’80s including The A-Team, The Incredible Hulk, and Hill Street Blues. He would also show off his comedic chops in sitcoms such as The Fresh Prince Of Bel Air and The Golden Girls. While known primarily for his film and television work, the actor was active in Los Angeles theatre at Theatricum Botanicum and Theatre Palisades. Evans is survived by his wife Heidi, two children, two stepchildren, and one grandson.